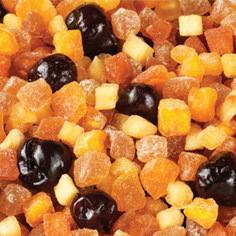 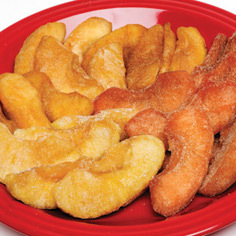 If you're looking for a fresh take on trail mix, try ours in a 6 ounce Sampler Packet. 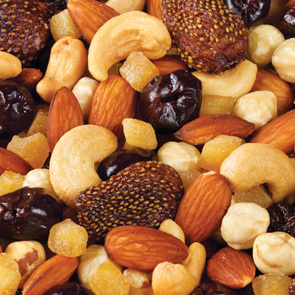 It's a satisfying mixture of our superior all-natural dried fruits paired with some of the world's tastiest nuts. 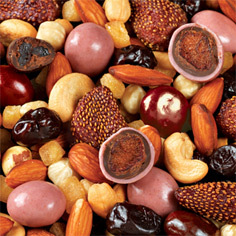 Delicate, whole Camerosa strawberries, diced Granny Smith apples and red sour cherry morsels complement the hearty cashews, almonds and filberts to create a delicious medley that you'll enjoy wherever you are.